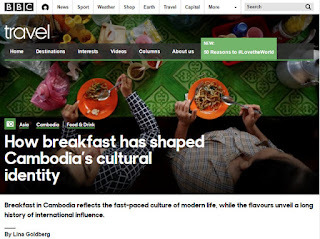 Mornings in Cambodia the place to eat is on the go, in vibrant local markets and small street-side stands where popular breakfast dishes reflect the many influences that shaped the country’s long and rich history. 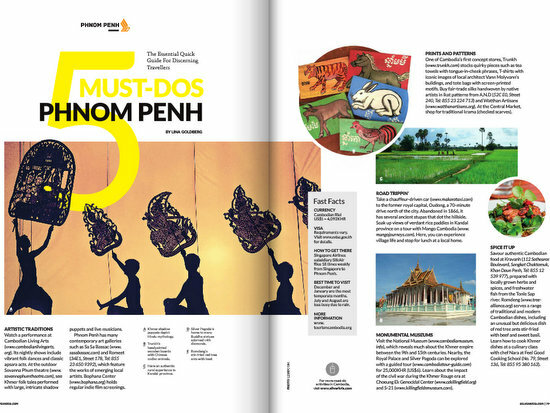 Jump right into the excitement of Phnom Penh with this short guide to the city. From well-known heritage sites like Angkor Wat in Siem Reap, to modern architecture tours featuring the works of Cambodia’s most illustrious architect in Phnom Penh, these are some must-dos when in the Southeast Asian nation. 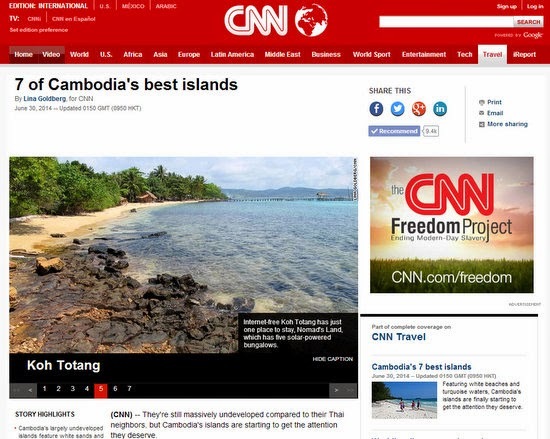 They're still massively undeveloped compared to their Thai neighbors, but Cambodia's islands are starting to get the attention they deserve.Whether you're looking for an all-night party or an underwater adventure among pristine coral reefs, Cambodia's got an island for all types and all budgets. Phnom Penh is a city on the rise, and so its nightlife. 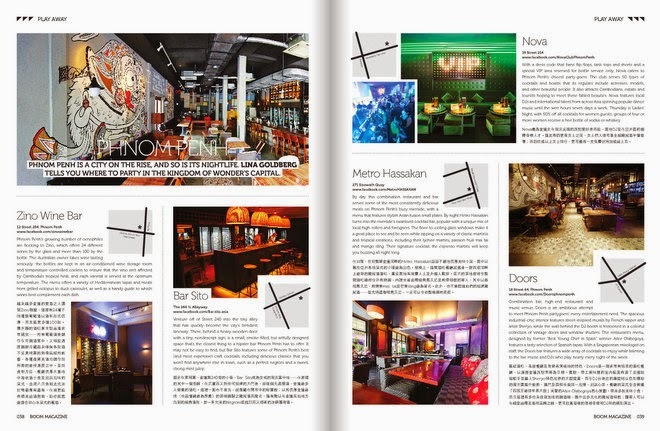 Lina Goldberg tells you where to party in the Kingdom of Wonder’s Capital. 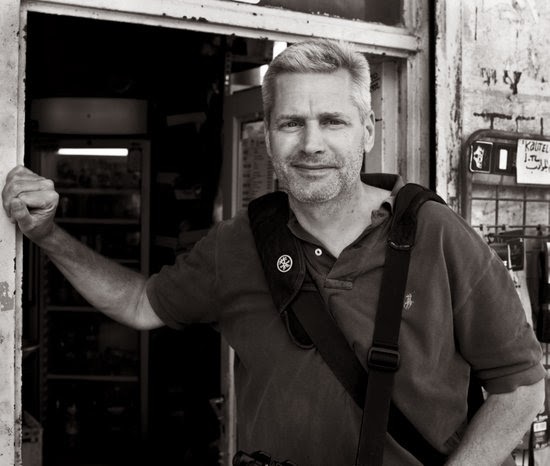 When David Hagerman went on business trips, he always kept a camera stashed in his briefcase. Early in the morning, well before his day's round of meetings started, he would leave his hotel to take photos of local people and places, from women preparing bowls of noodles in busy street-side stalls to piles of brightly colored spices in bustling morning markets. But it was only after decades of being a hobbyist that David decided to take the plunge, leave his corporate job and make photography his full-time career. "Try to learn something new every time you pick up the camera or get behind the computer. It will show in your photos." Originally from Michigan, David took his first trip abroad as a college student in the early 1980s when his father was working in the Philippines. David visited, and brought a camera along. That trip started a lifelong love of photography and of Asia. "I didn't see photography as a ‘real job,'" David says. "But I was intrigued by the possibilities of documenting my travels with the camera." 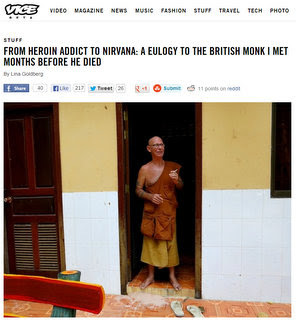 "I nearly died before I became a monk," 61-year-old Bhante told me. "Too much heroin." Something killed Bhante, but in the end it probably wasn't smack. He was found dead in a Cambodian pagoda earlier this year, and the immediate cause remains mysterious. But his efforts to lead a monastic existence in Southeast Asia – a decision that once rescued him from a life of crime – appear to be at least partially to blame for his death. For the last 14 years he lived in Thailand, Myanmar, Malaysia, Laos and Cambodia as a Buddhist monk, under the name Bhante Pannavudho. But he soon learned that being one of the few white bhikkhu living in an entirely foreign culture was no easy path to serenity. Despite being there to conduct charitable work among orphans and the poor, country after country in Asia tried to kick him out, driving him to despair and the brink of suicide. 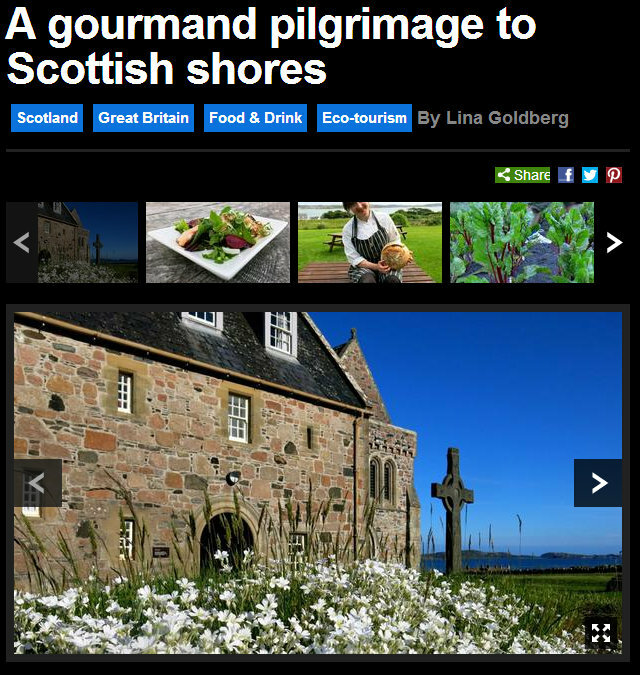 Home to more sheep than people, the remote Inner Hebrides island of Iona is developing a flourishing slow-food scene, where gardens are only fertilised using seaweed. 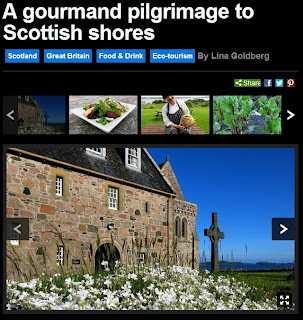 If you are in the UK and cannot access this photo essay, you can view it here. 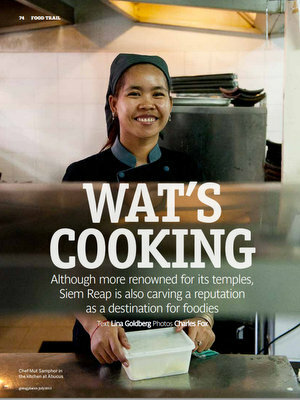 Although more renowned for its temples, Siem Reap is also carving a reputation as a destination for foodies. For centuries Siem Reap was a small Cambodian village that garnered little attention from the outside world. Then, in the early 1900s, the French "rediscovered" the majestic temples of Angkor and helped reclaim them from the encroaching jungle, and international tourism to the area began. 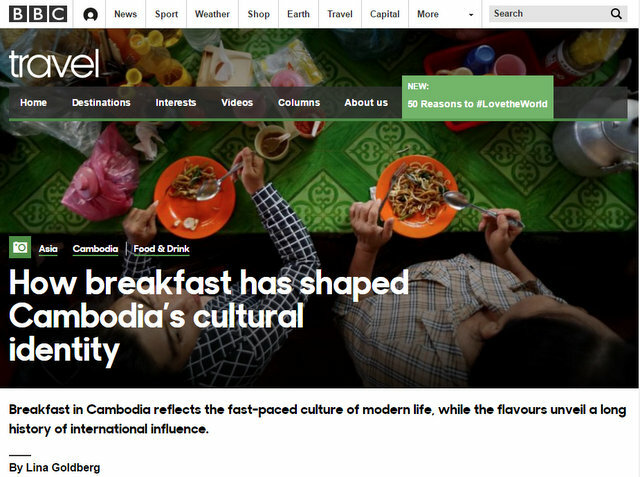 These days the town is the heart of Cambodia's tourism industry. Last year more than two million people traveled to Siem Reap to see Angkor Wat and the other ancient Khmer temples. 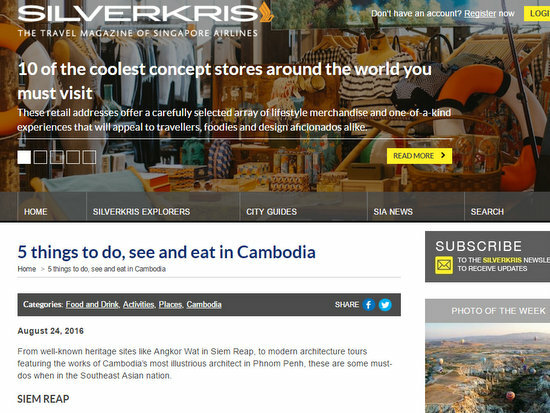 Until recently, however, Siem Reap offered little in the way of dining options beyond greasy fried noodles. But now visitors have more than the temples be impressed by: the town boasts a plethora of outstanding restaurants and international cuisines. The charming village of Ella may be nestled in the middle of world-famous tea plantations, but it is locally renowned for something else: delicious home cooking. 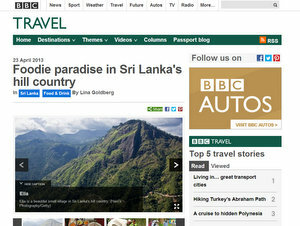 The town, located in the foothills of Sri Lanka's lush hill country 200km west of Colombo, offers foodies the chance to dig deep into the country’s culinary traditions and learn to eat – and cook – like a local.